It’s been another light week for new reviews, and the only new anime to report on is actually an old one. 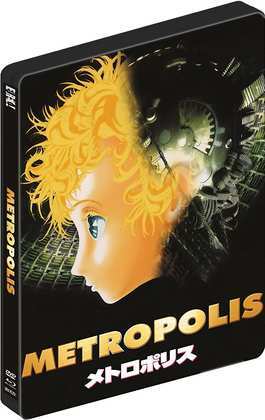 Osamu Tezuka’s Metropolis was originally released here by Sony on DVD back in 2004, but this year sees it make its Blu-ray debut courtesy of Eureka Entertainment. Famously, Tezuka was inspired to create his manga after seeing only the poster art for Fritz Lang’s masterpiece, and it took director Rintaro and a script adaption from Katsuhiro Otomo to bring the story to the screen ten years after the death of the godfather of manga. Despite its tenuous beginnings, it holds a lot in common with Fritz Lang’s film, but it’s also one of the most stylish and cool anime ever made. Click on the review to see if this one is worth the HD upgrade. .hack/Quantum, the online RPG anime that didn’t convert me to the genre. It took a good few more years and Log Horizon to do that. The dot hack universe is an extensive one, and this three episode OVA series merely scratches the surface. It also epitomises everything that I initially disdained about the genre. This show also commits the cardinal sin of not actually ending its story on screen, but ending it in a burst of verbal exposition during the epilogue. There has to be a good point though, or I wouldn’t have re-watched it. That boils down to the production values, which are at theatrical level throughout. This has had some serious money spent on its visuals and audio, and it is fun to watch. On top of that, while the story might be weak, the characterisations are very appealing. I do get a little invested in the show before the inevitable letdown. 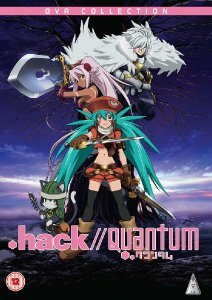 MVM released .hack/Quantum on a feature packed DVD back in 2012, and it is still readily available today. Here's my review from back then. The show also got a Blu-ray release in the US and Australia, which are both Region B compatible in case you feel like importing. Eureka Entertainment will release Osamu Tezuka’s Metropolis as a limited edition dual-format steelbook on the 16th of January. A standard dual format release will follow on the 13th March 2017.